In this digital age, it’s easy to take technology for granted. As the years go by, it gets harder and harder to remember the days when we used to rely on payphones and letters as standard forms of communication… In fact, many millennials don’t even remember those days. Now, we walk around with yesteryear’s supercomputers in our pockets, using social media and text messaging to keep our networks constantly apprised of our activities. We’re constantly on the grid and accessible, thanks to our technology and culture revolving around communication. The technological advancements in the ways we communicate can and should greatly benefit the safety and security of your enterprise campus community. 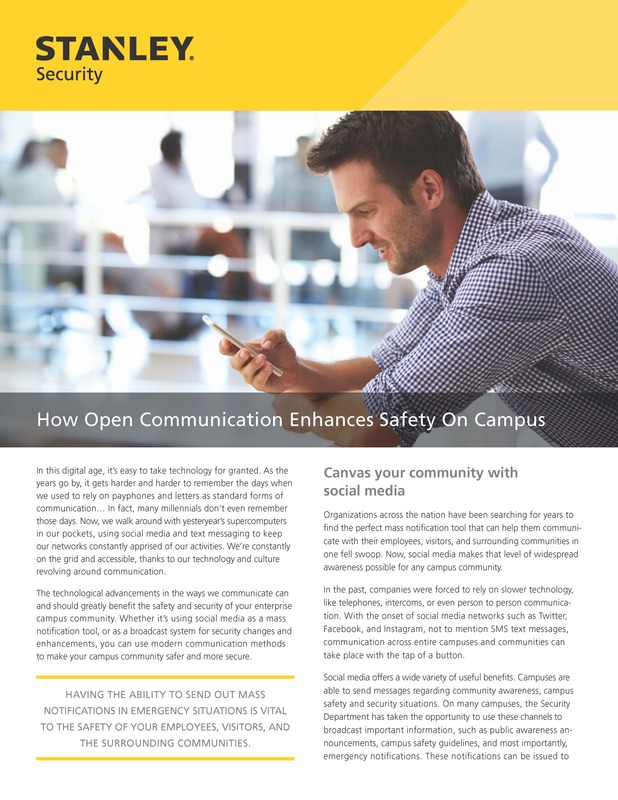 Whether it’s using social media as a mass notification tool, or as a broadcast system for security changes and enhancements, you can use modern communication methods to make your campus community safer and more secure.